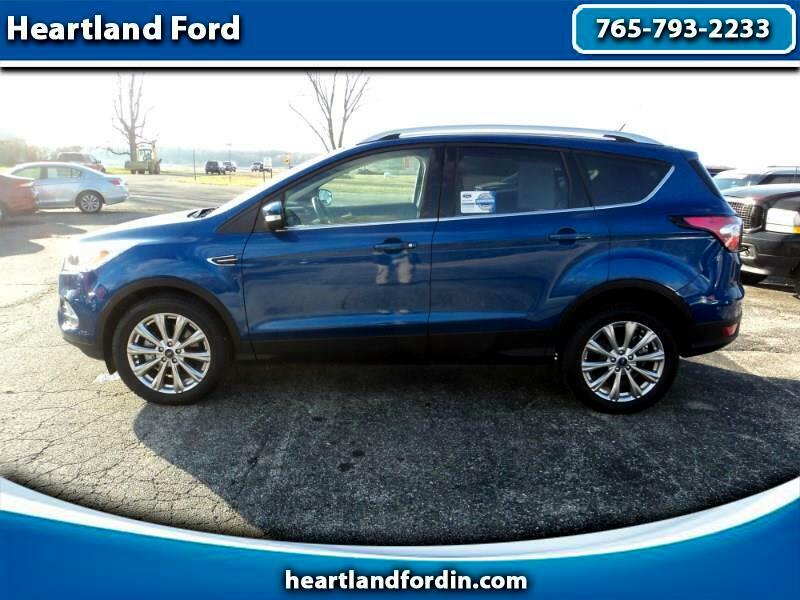 LIKE NEW ONE OWNER ESCAPE TITANIUM AWD WITH A CLEAN CARFAX, READY FOR YOU TO ENJOY! LOADED WITH ALL OF THE TOYS, LIKE VOICE ACTIVATED NAVIGATION, PANORAMIC MOONROOF, HEATED LEATHER, REVERSE BACK-UP CAMERA, POWER EVERYTHING, AM/FM/SIRIUS-XM STEREO, SYNC, POLISHED ALLOY WHEELS... LIKE NEW IN EVERY WAY EXCEPT THE PRICE! ALSO COMES WITH OUR EXCLUSIVE HEARTLAND FORD LIFETIME LIMITED POWERTRAIN WARRANTY FOR YOUR LIFE OF WORRY FREE OWNERSHIP! CALL OR CLICK TODAY TO SCHEDULE YOUR TEST DRIVE!